Consultancy and assessment on the key international supply chain standard ISO28000 added to our portfolio of products. ISO 28000 specifies the requirements for a security management system, including those aspects critical to security assurance of the supply chain. ‘Crossing the Bosphorus’ A culture based approach to Organisational Resilience. Co-authored by Colin Ive and Bogac Ozgen, and based upon their personal experiences, this white paper looks at the importance of understanding cultural differences when seeking to work with or partner organisations in different cultures across the world. Sponsored this year by Microsoft the 4th Annual BRiSC conference was well attended and, in the main, had excellent speakers providing a cross section of expert views on supply chain resilience and how to achieve it. 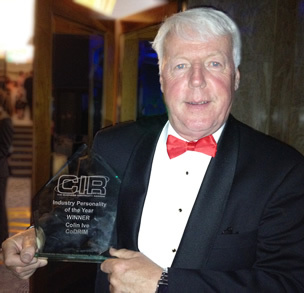 CoDRIM Ltd., organisers of this year’s Building Resilience in the Supply Chain conference, would like to congratulate their principal consultant Colin Ive MBA MBCI on winning the coveted and prestigious award of Business Continuity Industry Personality of the Year at last night’s gala awards ceremony. Principal Consultant Colin Ive shortlisted for ‘Industry Personality of the Year Award’ will he win? Watch this space for news…. Principal Consultant Colin Ive accepted as a Technical Expert for BS25999 with the British Standards Institute. Pleased to be contributing to the Cabinet Office sponsored book “Business Continuity for Dummies” due to be published by Wiley in the second half of 2012. 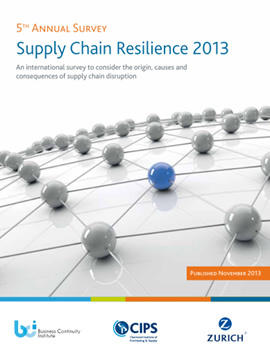 Another successful Business Resilience in the Supply Chain conference completed. More delegates, more exhibitors and even more positive feedback than last year! CoDRIM are delighted to be presenting at the IFSEC conference at the NEC on May 18th. See website for more info. 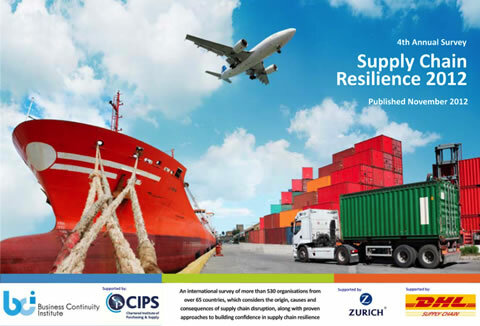 CoDRIM are delighted to have agreed a contract with the Business Continuity Institute to provide a series of workshops entitled ‘Business Continuity in the Supply Chain’ in many international locations over the coming year. Businesses across UK PLC need to take action to protect themselves where ever possible from the crisis caused by Volcanic Ash. Doing nothing is not an option! First thing on Monday morning, or better still before. 1. Check out the locations of your critical staff. Are they stranded abroad after the school holidays with no flight and no hope of a flight for at least a week? Thousands are especially if in North America! 3. Understand the critical work they were returning to. Losing staff for the duration of this event could be equivalent to losing them to a severe bout of flu. 4. Get their team or colleagues together and protect that essential project they were working on. 5. Arrange a meeting of the organisations 'Incident Management Team' understand what the threat to business is across board. Understanding the threat enables you to deal with issues and should discount any surprises. 6. Contact critical suppliers, understand their exposure to this threat, seek alternative suppliers where possible. 7. Contact customers, can you help them? Turn a possible negative into a positive. 8. Communicate with stakeholders, don't let rumour damage your share value. Business Resilience in the Supply Chain (BRiSC2010), is a not to be missed, exciting and unique conference which brings together the core elements upon which the resilience of any organisation is built. Packed with high quality speakers who present their personal knowledge, experiences and expertise for the benefit of all delegates. High Quality, High Value, Low Cost! This is a conference you can afford to attend and cannot afford to miss! Organised by CoDRIM and Supported by the BCI. We are pleased to announce the launch of CoDRIM.com, and as of Jan 2010 we will regularly post news and information here. Please look back in the New Year. © CoDRIM LTD. All rights reserved.